In software development, performance is the key issue. To create more number of new instances for a class, Object Pool Pattern are used. Object Pool Pattern are used to store the thread pools in a web container of server and source pools are used to process the request data. Objects in the pool should undergo the life cycle process. Using existing objects instead of creating new objects. Increases the performance and boosts the speed of an application. Different classes can use the same object. The connection management, sharing a resource, and reuse can be done easily. Reusable: Instances of class in this role will collaborate with other objects for a limited period, then they are no longer required to collaborate. Client: Instances of class in this role will use Reusable objects. 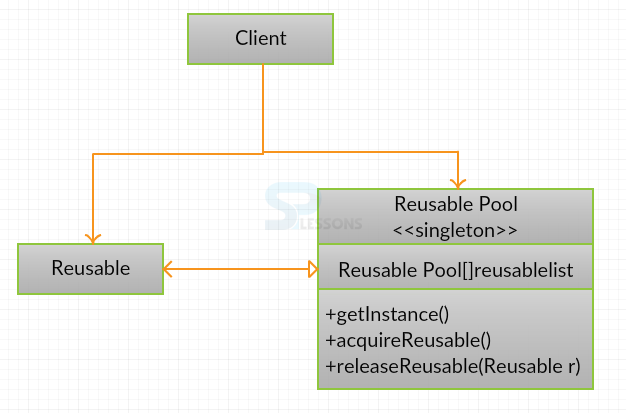 ReusablePool: Instances of class in this role manage Reusable objects that are to be used by Client objects. Created an objectpoolDesign class with private array of Objects inside. Created acquare and release methods in the ObjectPoolDesign class. Make sure that your ObjectPool is Singleton. The JDBCConnectionPool will require the application to specify the database driver, DSN, username, and password upon instantiation (via the constructor). 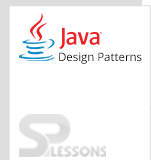 Object Pool Pattern can be implemented as singleton.